Not all patients are afraid of the dentist, but a lot aren’t excited to go, either. Most of the time, this apprehension is due to misconceptions and myths about how some dental treatments work. While many patients feel embarrassed by their missing teeth, fear and uncertainty keep them seeking the real care they need. 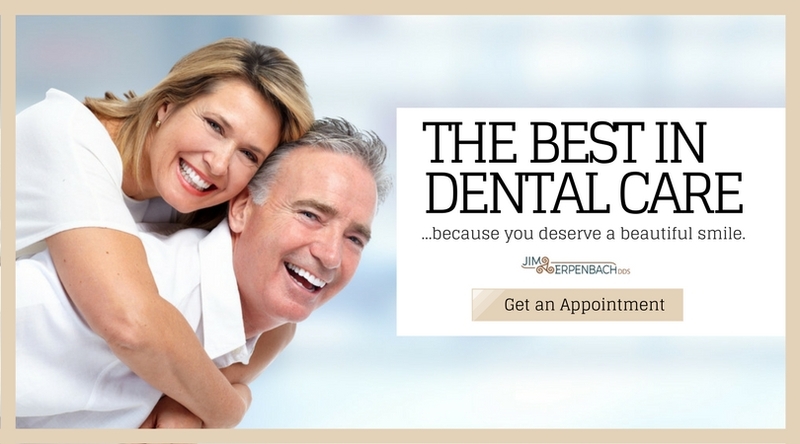 Dental implants are quite possibly the best way to fix missing teeth. If you’ve been told you’re a candidate for dental implants but are still hesitant, it may be due to several common myths about the procedure and the implants themselves. Don’t let bad information prevent you from having a healthy mouth, full quality of life, and a nice smile. Here are some common dental implant myths that hold patients back. It is true that dental implants have a higher initial cost than other procedures. The reason, though, is that they last much longer than other options. Even bridges, which are very popular, only last seven to 15 years which means you’ll have to spend money a few times over the rest of your life to replace them. Dental implants don’t need to be replaced as often. Having dental implants put in can be uncomfortable; we won’t tell you any different. But in terms of how much pain, most people will only need local anesthesia to get through the procedure. Of course, if you experience high levels of fear or anxiety, other relaxation techniques can be used. The procedure itself is not as painful, though, as you imagine it to be. The vast majority of patients are often surprised at how real their implants look. In reality, dental implants are the only option that can fool people. When you meet people for the first time, they won’t notice unless you tell them. As for people who knew your old smile, they’ll see the difference, of course. They’ll likely be pleasantly surprised at just how real the implants look. What is or is not “too long” is a matter of perception. If you’ve lived with an unattractive smile or discomfort from unhealthy teeth, the two to six month recovery period isn’t so bad. Many patients feel that the time spent recovering is worth it. The extra healing time is due to the time it takes the dental implant root to bond with the bone in your mouth and gums. In reality, once your dental implants are in, it’s extremely easy to care of them. Brush and floss your teeth like you always did. Even better, you don’t have to worry about getting cavities or tooth decay. We always recommend good dental hygiene, but you don’t have to do anything extra when you have implants. You can eat normal foods and chew gum, too. While not everyone gets dental implants, many people are candidates for the procedure. It’s estimated that nearly 70 percent of Americans, between the ages of 35 and 44, are missing one or more teeth. Nearly a quarter of all Americans over the age of 74 are missing all their teeth. That’s a lot of people who might be a good candidate for dental implants. Dental implants have been used in patients for more than 40 years and have a 95 percent success rate. This indicates that the procedure and the implants are extremely safe for patients. Some people believe that dental implants cause migraines. This is usually due to an underlying issue like TMJ or complications from surgery, not the implants. While the procedure itself is extremely safe, and many people may need dental implants, not everyone can get them. I make sure patients are good candidates for the procedure first. The most important factor for dental implants is strong bone tissue in your mouth. Without this, you may be eligible for other options instead. Dental implants are safe and effective for most patients. What prevents many people from seeking the procedure is a fear of the unknown or the belief in persistent myths. If you think dental implants may be able to help you, talk to us to get the facts. Don’t let myths or fear stop you from taking care of your dental health or having a beautiful smile.